Holidays in Torri del Benaco ↔ Discover Lake Garda! The picturesque and quiet village with historic sights is ideal for beach lovers and water sports enthusiasts. 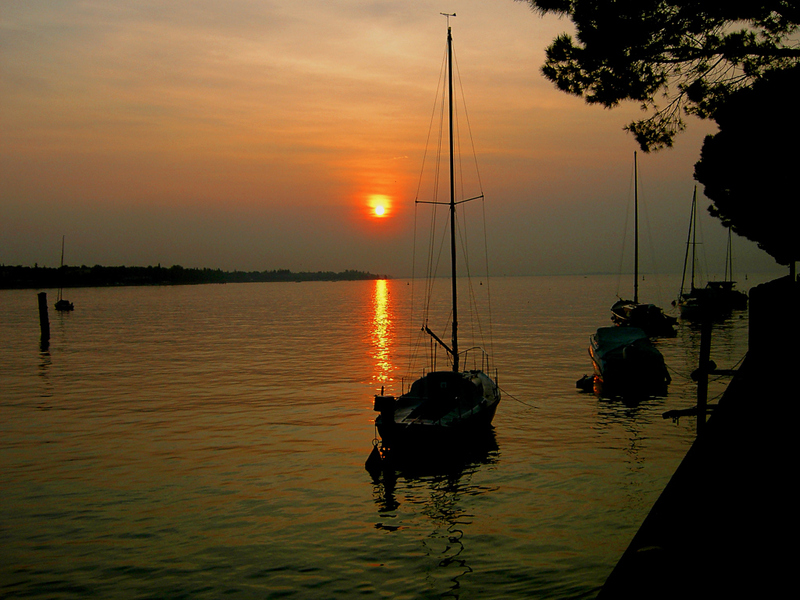 Torri del Benaco is ideal if you like quiet and contemplative holidays. 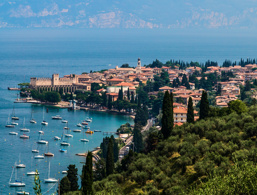 The village is located in the middle of the east coast right on the lake and is surrounded by picturesque olive groves. 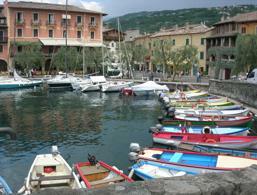 Torri del Benaco is located between the lively tourist centres of Malcesine and Garda. It's a historic town, whose roots go back to the Lombards and in midsummer madness, it can be a cosy and quiet retreat. Relatively undisturbed you can walk on the long main street and the wide promenade. The promenade extends over a particularly beautiful part of the so-called Olive Riviera at the foothills of Monte Baldo. Torri del Benaco is located on the main connecting road Gardesana and was once a significant place. It made a name for itself mainly by shipbuilding and marble processing. Torri del Benaco's Latin name is "lacus benacus" and is the original name of Lake Garda. The historic centre of the city spreads around Piazza Calderini and the former Councillors House, Hotel Gardesana. Among the most beautiful corners of Torri del Benaco is the harbour with its typical fishermen's houses and a cute little church. Next door you will find a castle of the Scaliger, which also acts as a landmark of the city. Once it was built to protect the village and today it houses a highly recommended folklore museum. There are only a few remnants of the former fortress wall. 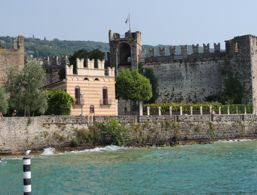 The impressive fortress with battlements and three towers is located directly at the lake. The original Roman Fort was used in the Middle Ages for the fortification of the Longobard Berengar I. In the 14th century, the Veronese noble family of Scaliger built a new castle, which was soon overrun by the Milanese rivals of the Visconti. Today, the castle is home to a museum displaying a variety of exhibits on sea fishing, olive growing, and the town's history, as well as a documentation of prehistoric petroglyphs found in the surrounding mountains. A small rarity is the so-called Limonaia - a special greenhouse for citrus fruits - on the south side of the fortress. The imposing medieval tower was part of the already mentioned 10th century Lombard fortress, which was built on Roman foundations. 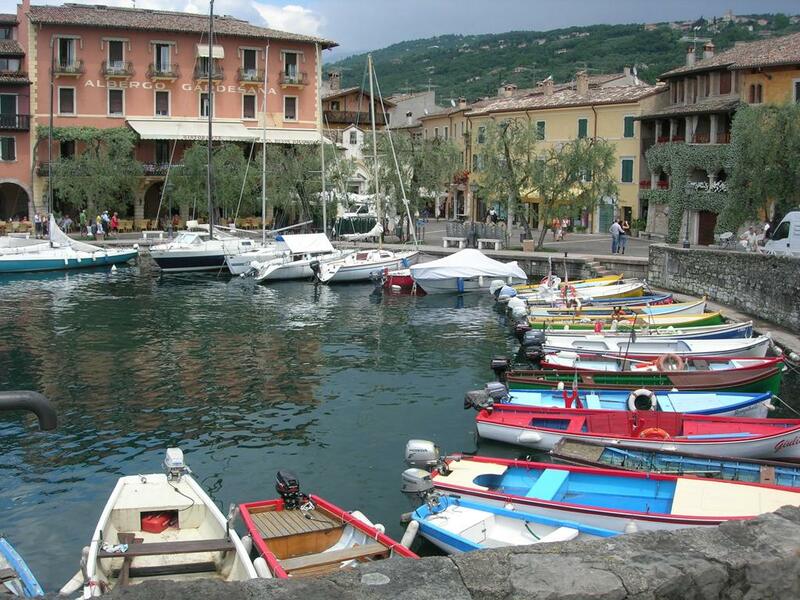 The historic centre of Torri del Benaco extends around the harbour, which is surrounded by olive groves. 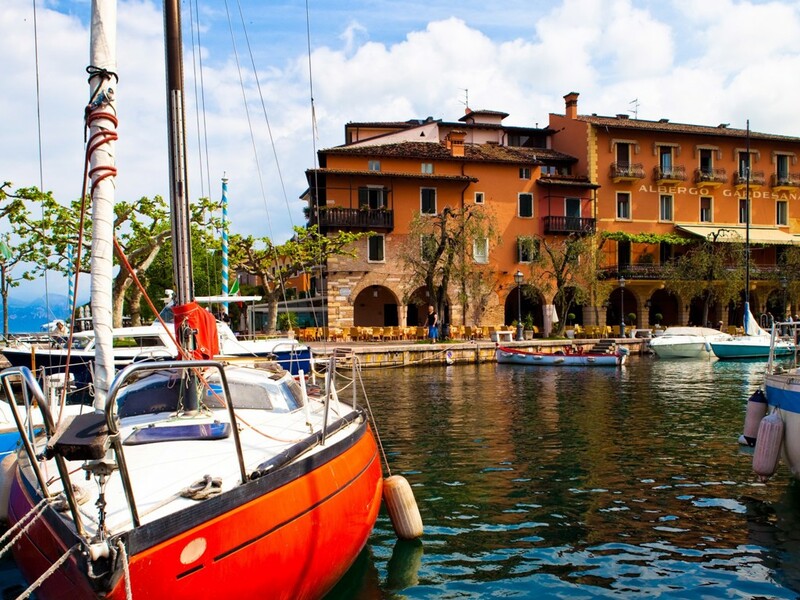 There is also the time-honoured Hotel Gardesana, where Lake Garda communities once met. At the beginning of the arcades, a memorial stone commemorates Domizio Calderini, after whom the central square is also named. The scholar had become known through his translations of Latin poetry. Nearby there is also a small church worth seeing, the Oratory of Santissima Trinità, which once belonged to the palace and is adorned with frescoes from the 14th-century Giotto School. The baroque parish church is dedicated to the apostles Pietro and Paolo and is located at the northern end of the old town. Its special features include an unusually large organ by Angelo Bonatti, an organ builder from Desenzano, and a bronze statue at the entrance. It represents the blessed priest Giuseppe Nascimbeni, who founded the women's order Suore della Sacra Famiglia. The pretty village above Torri del Benaco can be reached via a slightly adventurous, winding road. 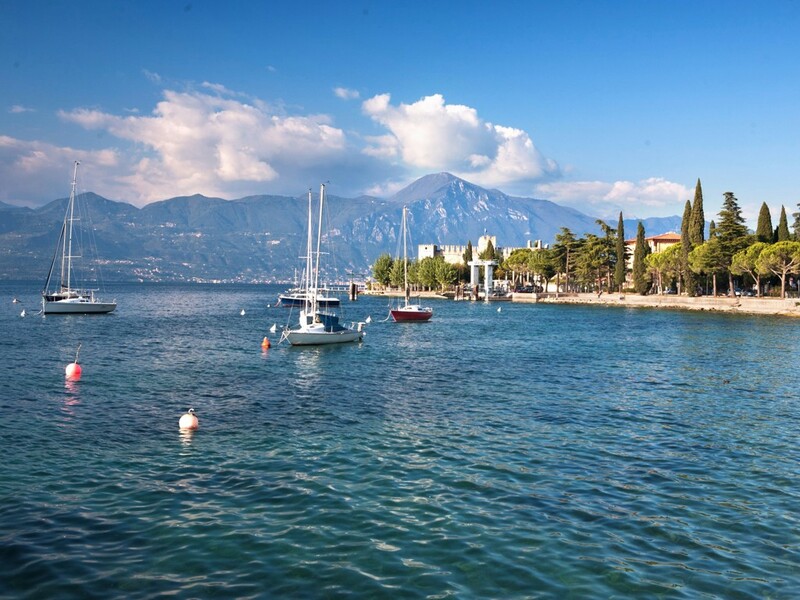 From the church square, you can enjoy a fantastic view of Lake Garda, the bank opposite and the mountains behind. 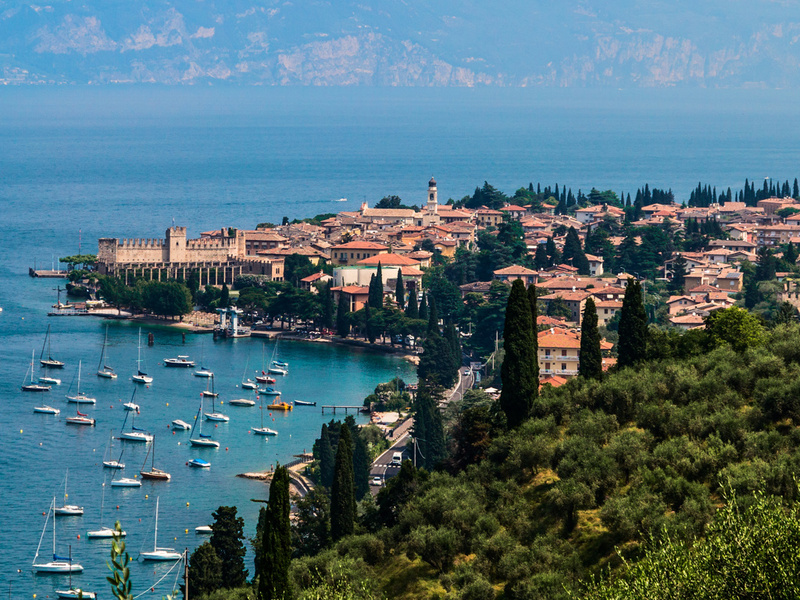 The writer Gabriele d'Annunzio aptly called this lookout point "Balcone del Garda". The accommodations at Torri del Benaco were rated 4.1 out of 5 stars by 29 users.